In the Victorian Era, bankruptcy was a criminal offense and bankrupts were seen as crooks who deserved to be punished. It brought disgrace and humiliation to the individuals concerned as well as to their families and friends. The thought of becoming a bankrupt terrified the middle-classes who had strived to make better lives for themselves. Not only could they lose everything they owned, but their reputation would be in ruins. Fortunately, the likelihood of being declared bankrupt was small unless they made some dreadful mistake or hit a particularly bad spell during a time of economic downturn. Since the sixteenth-century offenders had been jailed. The practice continued into the nineteenth century when debtor’s prisons were common. Debtors were incarcerated at the discretion of their creditors. They could remain in jail until they completed enough work to clear their debts or until they paid them off. Once the debts were paid, they still needed to gain permission from their creditors to be released. Following the insolvent Debtors (England) Act of 1813, debtors could request release after being jailed for 14 days as long as their debts did not exceed twenty pounds (equivalent to approximately one thousand two hundred pounds in 20141). They were still at the mercy of their creditors, however, and if any objected, they had to stay inside. It wasn’t uncommon for the families of debtors to stay in prison with them. It has been reported that children were born and raised in prison only leaving when the father was released. At the time of the closure of Fleet Prison, London in 1842 it was found that two debtors had been imprisoned for thirty years. Initially, bankruptcy proceedings could only be started by creditors. In the Bankruptcy Act of 1825, however, the law was changed to allow people to start their own proceedings as long as the creditors were in agreement. Voluntary bankruptcy was authorized in 1849 and gave the debtor more control over the process. It also allowed some unpaid debts to be cleared. was guilty of any false representation or other fraud for the purpose of obtaining the consent of his creditors or any of them to any agreement with reference to his affairs or his bankruptcy or liquidation. As if the loss of everything he had worked for wasn’t enough, possibly one of the most soul-destroying aspects of the bankruptcy process was the fact it was a very public event, designed to destroy reputations. Once the initial filing was made (by either the creditors or debtor), it was published in the London Gazette. Depending on the nature of the bankruptcy it was likely to be picked up by the local newspapers. Within a week or so of the filing, the debtor would be assigned dates for a first meeting and a public examination. The first meeting usually took place within a month of the initial filing and was often held at the offices of the official receiver. It gave the creditors the opportunity to understand the details of the debtor’s finances and to question him under oath. At the end of this meeting, it was determined whether the debtor should be adjudicated bankrupt or not. If he was, a trustee was appointed. The press were allowed access to the first meeting. If it were considered newsworthy, full details of the debtor’s finances would be printed in the local newspaper. The public examination took place two-four weeks after the first meeting and was held in the local court. All details of the case were reviewed, and the debtor cross-examined in full view of anyone who cared to attend. This could be neighbours and friends, or even, if the debtor was a businessman, former employees and customers. Following the public examination, a request was made for all creditors to provide proof of their claim. This again appeared in the local paper and kept the bankruptcy in the public eye. Eventually, once all creditors had been identified and the estate liquidated, notice was given (again in the press) of the amount payable to the creditors. This was given as the amount of money they would receive for every one pound owed. Often the amount paid was minimal, perhaps only a few shillings for every pound (there were twenty shillings to the pound). This meant that at the end of the process, there were no real winners. 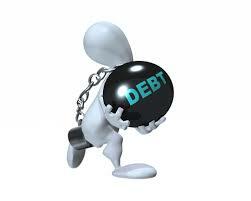 Eventually, the debtor would be released from the restrictions of bankruptcy and the trustee. This was typically a year after the initial bankruptcy was declared although it could take considerably longer.